The Nineties Revival has been a monumental movement in fashion over the past few seasons. Retro style logos, bold colour blocking, and classic trainer styles have dominated collections across the runway for months, but you may have noticed a lack of Winter ready footwear as part of the renaissance. That is until now with the arrival of Moon Boot. The Italians return with their lunar-inspired range just in time for the plummeting temperatures and harsh conditions. 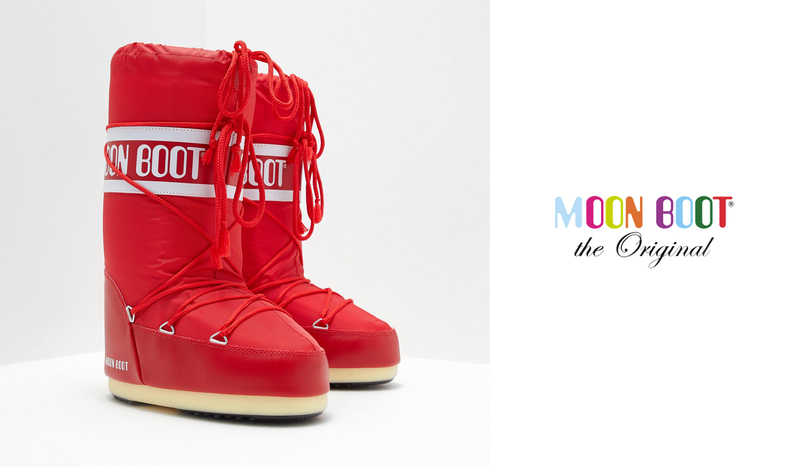 Founded in 1969, the year of the first moon landing, Moon Boot have, in many ways, always been ahead of their time. Their space aged vision for footwear partnered with a daring approach to style set them apart from day one. 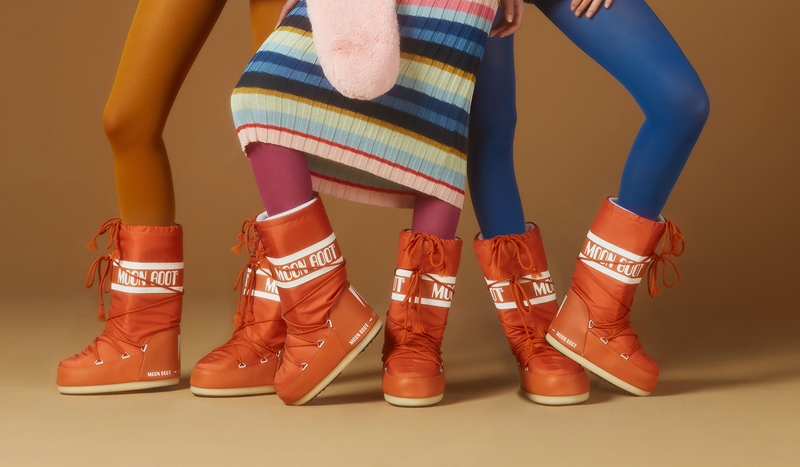 While the hyper-exaggerated styling of designers such as Demna Gvasalia and Gosha Rubchinsky have entered vogue, Moon Boot’s proud claim to irony and individuality surely proves them an earlier champion of the unique. The nineties is the decade that the brand’s work gathered momentum though. As Ski holidays became something of a phenomenon amongst fashionable youngsters, the Moon Boot became an icon of the après ski. Along with brands such as Pyrenex and Moncler, the classic boot was a symbol of Alpine glamour. 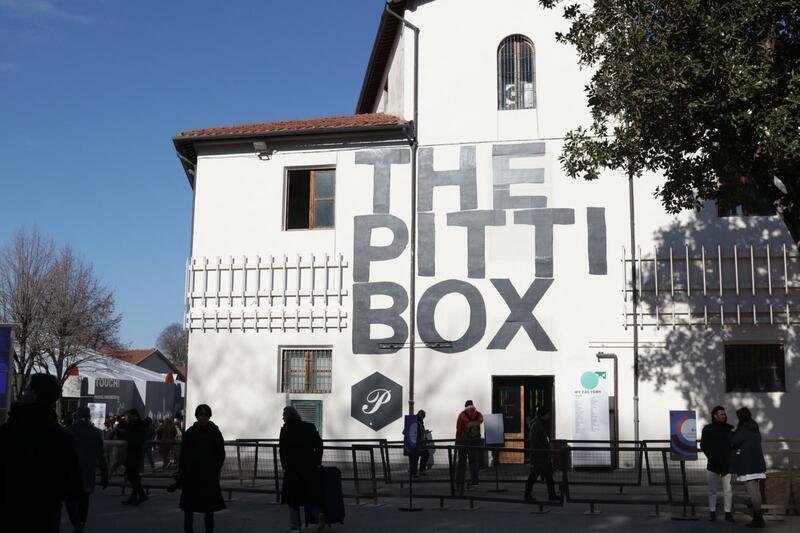 Bold branding and even bolder aesthetics set them apart from the generic mountain boots that had gone before. The very same glamour still lives today. The Moon Boot is a shoe perfectly suited to Winter and a style that thrives on it. Its design accommodates for snow and other extreme conditions with a large surface area to the sole and a weather resistant nylon construction that rises to the shin. Retain warmth and comfort, while offering a bold look. The brand is certainly one to look out for over the coming months. Click here to explore our range of Moon Boot for women.